Whether you find out ahead of time or at the moment of delivery, hearing that you’re having a boy is an amazing feeling. You’re life’s about to change! Amidst the excitement though, you are bound to experience one tiny twinge of disappointment – no bows, glitter, tutus, or accessories. But it’s ok, you tell yourself, because having a boy will be more fun anyways. And trust me, IT IS. And best of all? You will be blown away by the cute baby boy clothes that you will come across if you look in the right places. What you don’t know yet is that baby boy clothes can actually be way, way cuter than anything you can find for a girl! Not only do boys have their own adorable accessories, but they can pull off being dressed like mini versions of their dads, something little girls just can’t seem to do (or maybe it’s that yoga pants and an oversized T-shirt just don’t pack a punch ;-)). This scenario plays out in my house almost everyday: The playroom is strewn with blocks, cars are on their sides, balls are piled in the corner…and my son? He’s playing in our cabinet with the pots and pans. 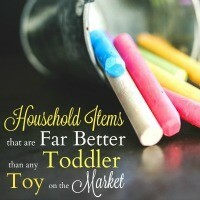 There’s no question he loves his toys, but sometimes I can’t believe how much he loves his “not toys.” So much so that I find myself converting old household products into play things just for some free indoor excitement. As small home dwellers and frequent travelers, my husband and I have developed somewhat of an expertise for getting around with our baby. 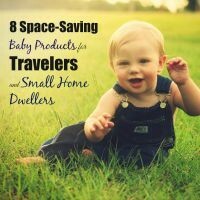 When you’re in close quarters with a little one, you basically have no choice but to be creative (or depend on the creativity of others), so we’ve come across some amazing space-saving baby products and gadgets that make life waaaaay easier. Some of these were amazing gifts, some we discovered out of desperation, and some were just plain dumb luck. But ALL of them have proved to be essential and/or quite a relief in our day-to-day lives or travels. 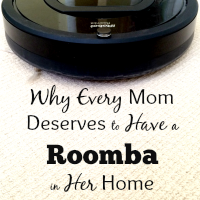 I’m obsessed with my Roomba . So much so that sometimes I think I should have one for each room in my house. It doesn’t even bother me that I’m about to give you 9 amazing reasons to fall in love with a vacuum cleaner because honestly, it’s that great. I still need and use my beloved Dyson for heavy duty work, but now we’re like a 3 person/machine/robot team that vacuums the whole house together. I’m definitely not a minimalist (though I wish I was). In fact, I probably carry more traits of a hoarder than I do of a minimalist. 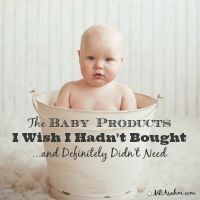 Yet I STILL found that there were quite a few baby products that I just didn’t need, wish I didn’t have, or was so unbelievably grateful that I DIDN’T get. I mean, these little babies come with a ton of stuff. And in my case, my son rarely left my arms, so what was the point of half of them? At one point his room had literally turned into a storage facility for the overabundance of his “things”, while the stuff he actually needed just moved into my space. Last week, my husband and I did the unthinkable and flew from California to Philadelphia with our 2-year old…in first class. We were well aware that having a baby on our lap in these premium seats would be taboo, but honestly it feel like a baby anywhere on a plane is taboo – so what’s the difference? Well, let me tell you right here and now – there is a difference. A huge difference. And not just for our comfort and our baby’s comfort, but for the whole entire plane. When you can keep your baby happy, it will make everyone around you happy. When our plane landed at the end of our trip, the patrons around us stood up and actually congratulated us on a perfectly silent flight – they actually congratulated us. Now that was a scenario I hadn’t envisioned ahead of time. 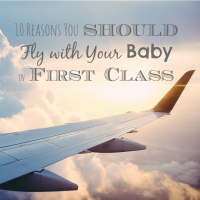 So before you book your next flight with your baby in tow, please please please consider these reasons for opting for first class tickets. I promise, you will not regret it. I’m sure we’ve all experienced the same feeling after finishing the last year of school – how the heck do we make friends now? All of a sudden, our social circle dries up and pretty soon our friends are tied to our jobs. It’s who we see everyday and the people who start to know everything about us. Then we leave that job to stay home with our kids. That’s when the social circle really dries up. Not to mention that now you’re at a whole new phase of life with new concerns, challenges, and a new demanding schedule. The good news is that there are more of us than we think! 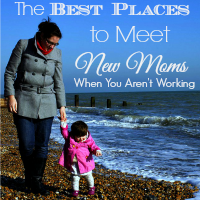 I was convinced that I would be the only stay-at-home mom around and was SHOCKED to find that there were tons of other women just like me that made the choice to stay at home. It was just a matter of finding them at the right places.